Carbon budget refers to “an amount of carbon dioxide that a country, company, or organization has agreed is the largest it will produce in a particular period of time.” The term is a way of talking about, and managing, the emission of carbon dioxide into the atmosphere, just like setting a household budget that allows us to track how much we spend and where. It is usually more specific than setting targets. For instance, we can adopt the target of keeping global warming at less than 2 degrees C increase over earlier periods, and a carbon budget allows us to track how much CO2 we’re actually emitting in any given period. The United Kingdom Climate Change Act 2008 established a target to reduce greenhouse gas emissions by at least 80% by 2050. To ensure that regular progress is made towards this long-term target, the Act also established a system of five-yearly carbon budgets. The term will get a lot more attention now that the Intergovernmental Panel on Climate Change (IPCC) has issued the Summary for Policymakers for the 5th Report on climate change. In that Summary, the IPCC indicate that in order to have a 66% chance of avoiding catastrophic climate change in excess of 2 degrees C, the planet is limited to a total of one trillion tons total carbon emissions since the dawn of the industrial revolution. 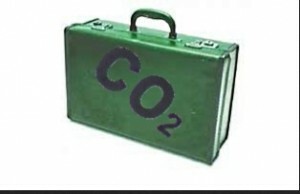 Without using the term, this sets a budget for how much carbon can be emitted. Unfortunately, we have already burned half of that amount and we will exceed the budget by 2040. If we have only 500 gigatons carbon (GtC) to burn, in order to stay on budget, according to the IPCC, how many GtC does each of us on the planet have to spend. Figure out some of the activities you engage in and how many GtC each burns. If you have to give up some activities (you will), what will you spend your GtC on?